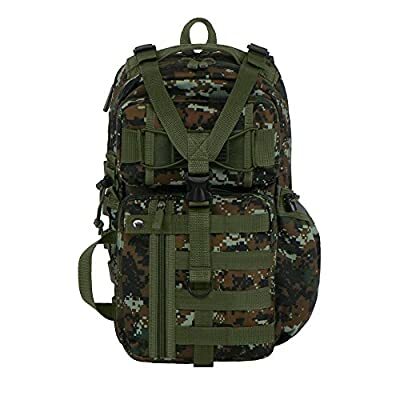 A cross-body design with a single, adjustable mesh strap makes the East West U.S.A. Tactical Molle Shoulder Sling Backpack comfortable to carry on long treks. 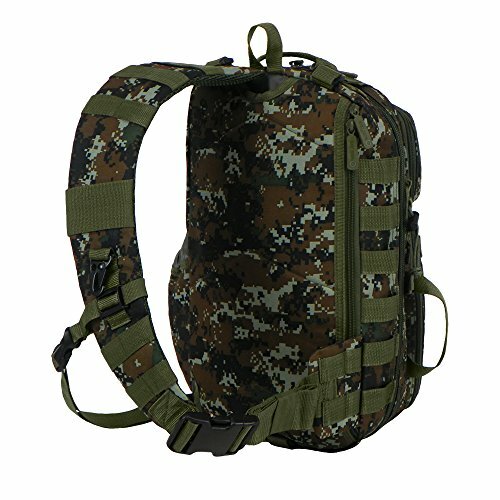 For storage, this durable polyester pack features a main compartment with inner pockets, three front zip pockets, a drawstring water bottle side pocket, and a rear hydration pack-ready pocket. With D-rings and the MOLLE expansion system, you can attach accessories and modular components to the pack for more storage possibilities. A Y-shaped buckled front strap and compression straps keep your gear secure and stabilize the load for easy carrying. 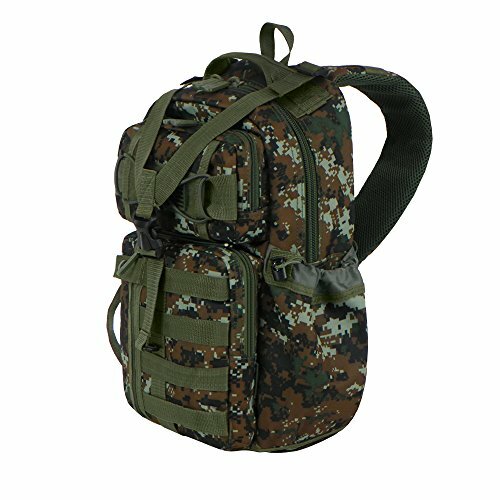 East West Bag Inc, D.B.A East West U.S.A, we provide reliable products for people around the world to take things with them in their journeys and adventures. Our goal at East West Bag Inc is to design, manufacture and provide functional, high-quality products to fit the various needs of all the people. We are constantly innovating and developing our products so that its easier to pack your gear. Choose from available options. 1 main storage compartment. Adjustable mesh padded straps. Additional zip and buttoned pockets. 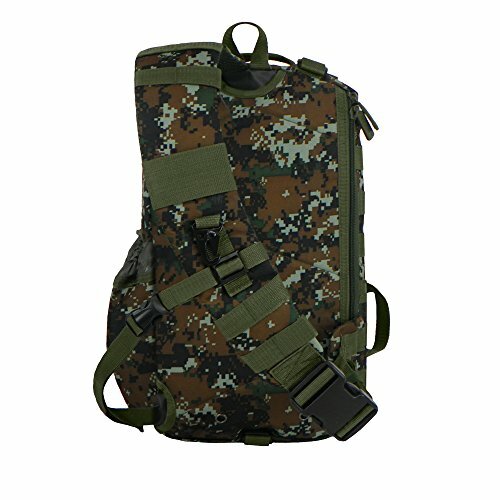 Opening at top for hydration pack or headphone jack.